What should I wear the day of the exercise stress test? The exercise stress test -- also called a stress test, exercise electrocardiogram, treadmill test, graded exercise test, or stress ECG -- is a test used to provide information about how the heart responds to exertion. It usually involves walking on a treadmill or pedaling a stationary bike at increasing levels of difficulty, while your electrocardiogram, heart rate, and blood pressure are monitored. Stress echocardiogram: An echocardiogram (often called "echo") is a graphic outline of the heart's movement. A stress echo can accurately visualize the motion of the heart's walls and pumping action when the heart is stressed; it may reveal a lack of blood flow that isn't always apparent on other heart tests. Do not drink or eat foods containing caffeine for 12 hours before the test. Caffeine will interfere with the results of your test. Do not take the following heart medications on the day of your test unless your doctor tells you otherwise, or if the medication is needed to treat chest discomfort the day of the test: Isosorbide dinitrate (for example, Isordil, Dilatrate SR); Isosorbide mononitrate (for example, ISMO, Imdur, Monoket); Nitroglycerin (for example, Deponit, Nitrostat, Nitro-bid). Your doctor may also ask you to stop taking other heart medications on the day of your test. If you have any questions about your medications, ask your doctor. Do not discontinue any medication without first talking with your doctor. If you use an inhaler for your breathing, please bring it to the test. If you take insulin to control your blood sugar, ask your doctor what amount of your medication you should take the day of the test. Often, you will take only half of your usual morning dose and eat a light meal 4 hours before the test. If you take pills to control your blood sugar, do not take your medication until after the test is complete. If you own a glucose monitor, bring it with you to check your blood sugar levels before and after your exercise stress test. If you think that your blood sugar is low, tell the lab personnel immediately. Plan to eat and take your blood sugar medication following your stress test. On the day of your stress test, wear soft-soled shoes suitable for walking and comfortable clothes. Do not bring valuables. First, during a stress test, a technician will gently clean 10 small areas on your chest and place electrodes (small, flat, sticky patches) on these areas. The electrodes are attached to an electrocardiograph monitor (ECG or EKG) that charts your heart's electrical activity during the test. Learn the causes, symptoms, and treatments of the common heart abnormality known as atrial fibrillation (A-fib). 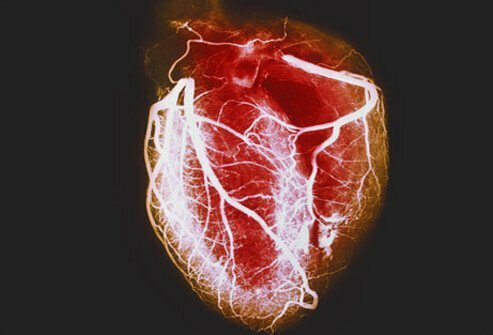 Coronary angiogram is an angiogram (an X-ray image of blood vessels filled with contrast material) used to diagnose coronary artery disease responsible for heart attacks, strokes, angina, and other coronary artery diseases. Coronary angiogram assists the physician in diagnosing and recommending treatment for coronary artery disease.